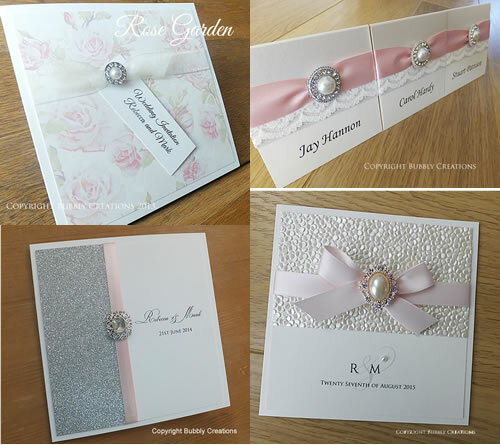 As promised, we are posting a lot more on our blog and are trying to show more of the orders that we have completed for customers so different designs can be seen in alternative colour ways or with different embellishments. 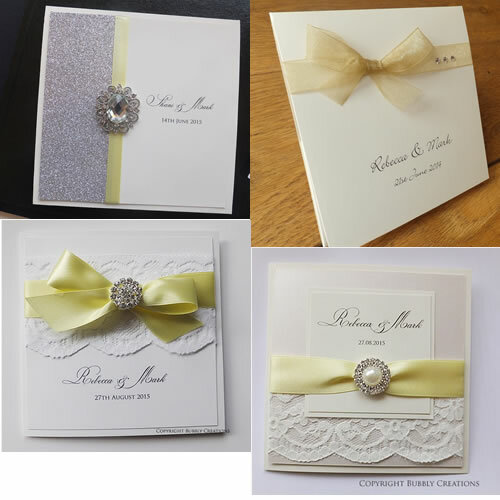 This week we are featuring our Promise wedding stationery collection which consists of luxurious lace with satin ribbon and a pearl embellishment mounted on top. 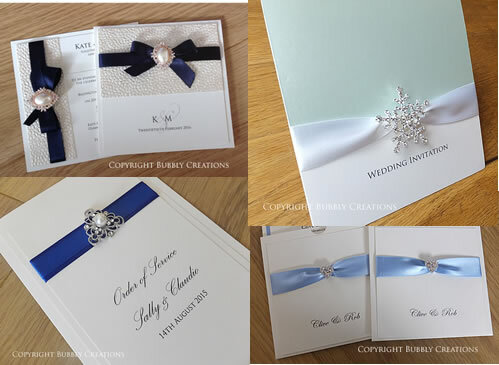 This is a popular choice for couples as it fits in perfectly with the Vintage wedding theme trend at the moment and looks stunning. 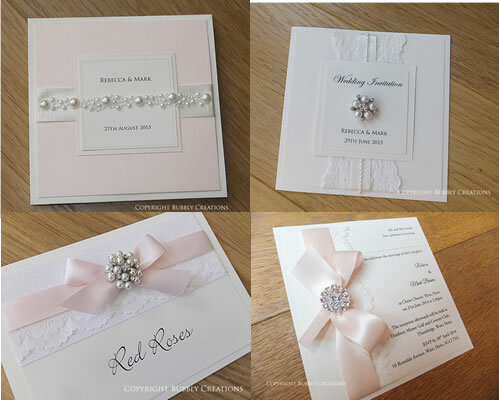 The inside of the pocket has a double layered card with the wedding details on and comes with an RSVP card and envelope. 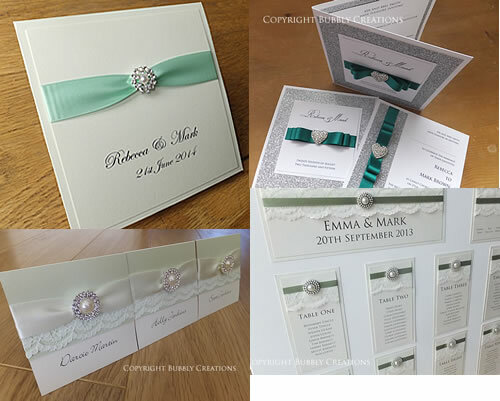 This customer chose to have pocket wedding invitations for the day guests and a flat style invite for the evening, but still followed the same design with the pearl and lace and finished it off with sage green ribbon. 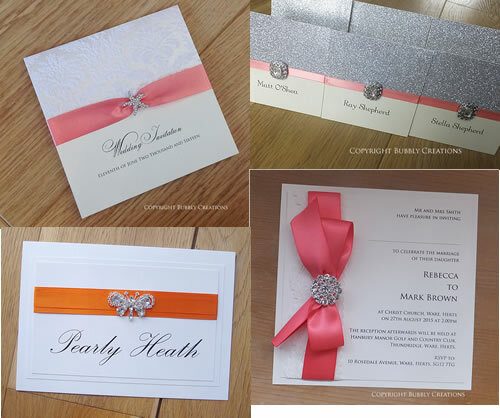 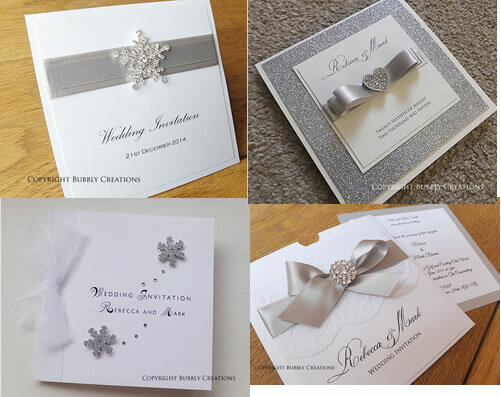 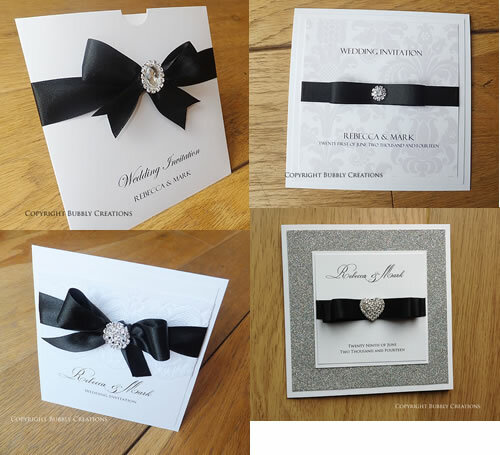 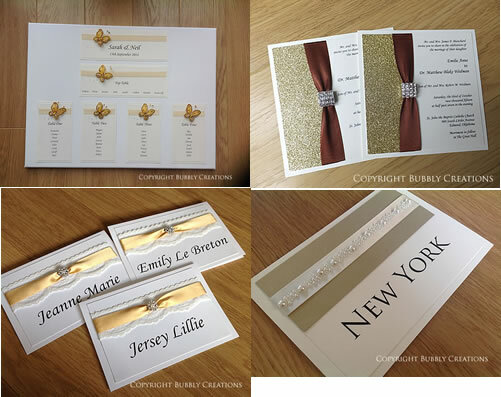 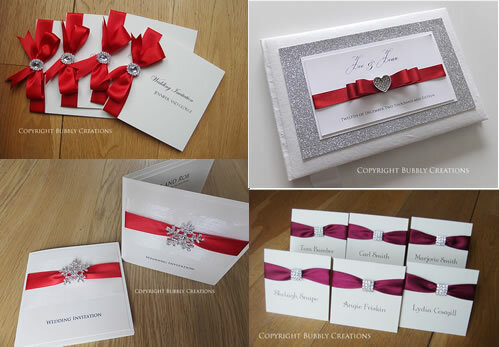 The Promise collection is available in any colour scheme and is available in many different wedding invitation styles with a pocket, wallet, folded or flat style available. 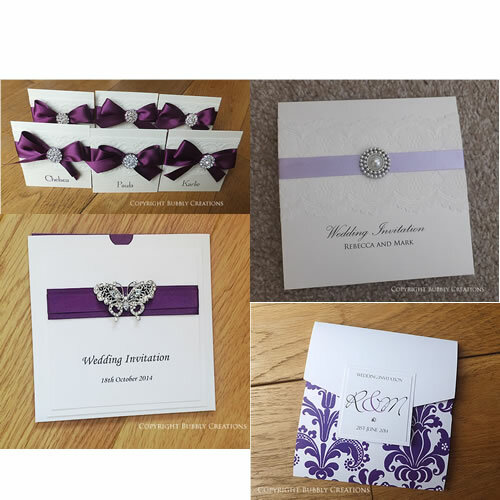 Each design is available in a full range of wedding stationery including table plans, orders of service, menu’s, place cards and table number cards.